To begin your Volvo S70 parts search, click a year from the list above, or use the Vehicle Selector at the top of the page to choose your exact Volvo S70. The Volvo S70 was a short lived mid-size luxury sedan produced from 1998-2000. 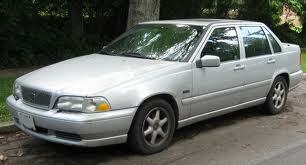 Cousin of the V70, the Volvo S70 was an updated version of the 850. Also like the V70, the S70 had a rounder front end than the 850. It was also equipped with unique Volvo S70 parts, such as new headlamps, a reshaped hood, and dual front and side airbags. The Volvo S70 was one of the first cars to offer side airbags in the United States, a safety feature that is a near-universal option today. As always, Volvo put safety front and center. The base model engine for the S70 is a 2.4L double overhead camshaft straight-five petrol engine that produced 168 hp. The GLT is a turbocharged version of that engine that increased horsepower to 190 hp, and the T5 has a more highly tuned 2.3L engine capable of outputting 240 hp. 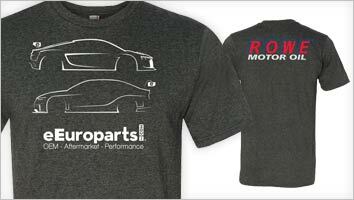 eEuroparts.com offers free shipping on Volvo S70 parts orders over $50. Whatever parts you're looking for, eEuroparts is confident we have them in stock, ready to ship.